This is the last week of January, can you believe it? Speaking personally, I feel like January has come and gone really quickly this year. I am still working on 2018 projects (some of which were intended for Christmas, additional requests were added over the season) and I would really like to complete some of the projects which have been on hold for a longer period of time. One of our regulars at Knit Night was telling me about "Stash busters" groups on Ravelry. 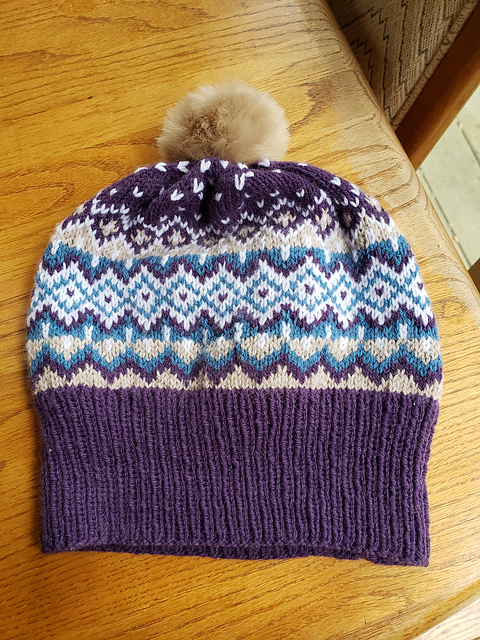 I love Ravelry, it is a great way to find new/different patterns (w/apologies to The Crafty Lady who cannot get all of her ideas down on paper as quickly as I would like), provides information for customers when they forget their pattern, information on older yarns and gauge. The help section is very comprehensive when you come across a new term, wording you do not understand or new skills. My personal library at home is fairly extensive, but over the years has become disorganized (plus my size and tastes have changed over the years). I need to reduce/organize my pattern stash as much as I need to reduce my yarn stash. I also need to live a very long time to get everything done. The first two, I have some control over - the 3rd, well, we will see. 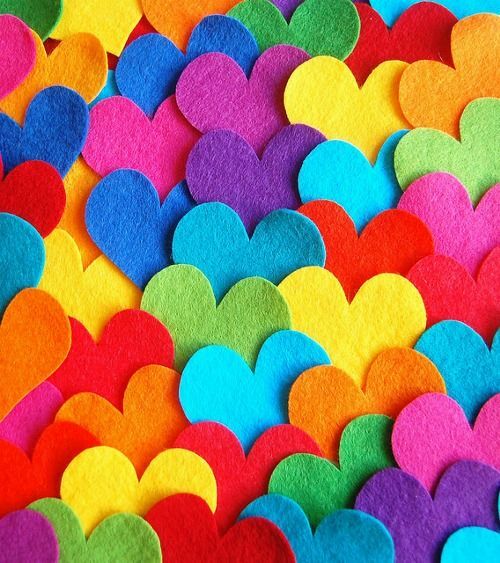 As we head into February we will be celebrating - all month long according to one rumor dropped during Knit Night. On February 14, 2019 - The Crafty Lady will officially have been in business for 25 years. I started shopping at The Crafty Lady during it's first year of operation, down in a basement. I am not the only one who comments on the changes and growth! And how much we all appreciate her hard work offering good quality yarn at reasonable prices - for 25 years. For the 14th ONLY everything in the store will be 25% off. Moving from 25% sales, to our 75% off sale . . . This is the last week week for our 75% Off sale for 4 weeks - as we celebrate! 225 grams = 180 m.
Do You Like to Mix It Up? The "give me colour!" camp. While The Crafty Lady aims to carry a wide selection of yarn weights, fibre types and colours (including neutrals), the trends in recent years definitely seem to favour the "colourful". From variegated to self-striping, self-patterning to gradients, kettle-dyed to hand-painted and splattered, our yarn suppliers continue to provide us with seemingly endless opportunities to create the items we want in the colours we want to use. 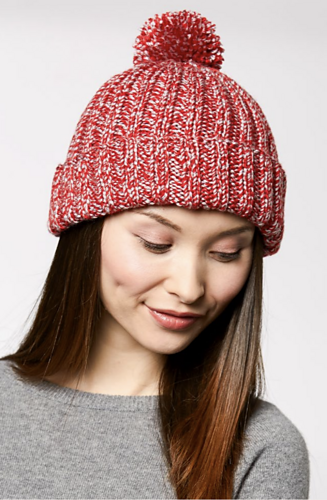 'Stranded knitting' is back in a big way this year -- meaning that knitters in particular are being treated to all manner of patterns featuring Fair Isle or Scandinavian motifs. 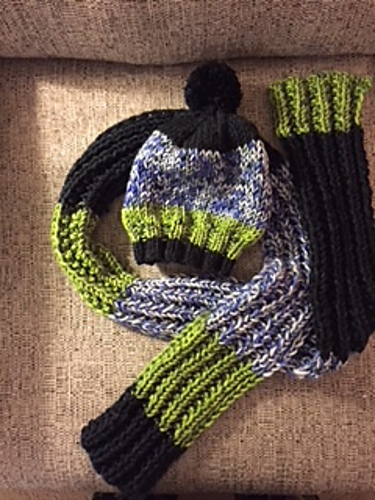 Others are exploring mosaic knitting or brioche, techniques that work with more than one yarn to create intriguing designs and textures. Another way to introduce colour into your work is by plying two yarns together to create what's called a "marl". 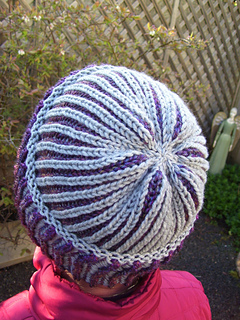 There are some tutorials available -- like this one from Tin Can Knits -- and the range of patterns for garments using a marl you create yourself is growing. for our Super Special Sale! counting the sleeps till our 25th Anniversary Sale starts in February! Is there one month of the year we get and give a lot of advice? Is January THAT month? We all hear the radio/TV ads for weight loss; RRSP season; down-sizing; stash-busting, taxes; and more weight loss controversy . . . I am honoured be to be finishing my 2nd year working at The Crafty Lady. I am learning there is also a season when more people want to learn a new craft. Early in a new year seems to be the season. I just found this on the internet - and it also applies to crochet, cross-stitch - any creative repetitive craft. This is a blatant exaggeration. 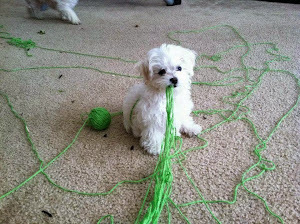 If you can knit and purl - you can do anything with a little bit of help and encouragement. There are more stitches to learn for crochet, but if you are comfortable with a basic single crochet stitch, again - with some practice - you can do anything. From my limited experience - this is true for most skills. Please note: the staff at The Crafty Lady have a lot of knowledge for a number of crafts. We do lessons (not classes). We ask you to book in advance to ensure we have two staff on, one to teach you and one to help the other customers. We charge $15/hour (in 20 minute increments) and anything you purchase for the lesson is 10% off. I was going to say we have a combined experience of over 75 years, but may be understating our combined years of crafting by about 50 years. We do have one common goal - to help you to the point you get excited to read a pattern described as "heirloom" and have the confidence to actually complete it, and comfortable owing that you did it! 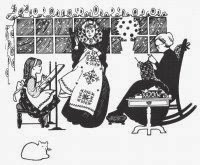 January and February are often the coldest months of the year, a great time for learning new skills, picking up a great book and or snuggling - either good yarn or loved ones. Speaking of January, until the end of the month - Margaret (one of The Crafty Ladies) and her friend Mary have a display of art quilting on at the LMC. Please stop in and explore their work from a trip to Scotland in 2017. And while we are snuggling on a cool/cold winter's evening, this week's 75% off special, will help you to keep to your budget while providing a great yarn for any number of projects (limited colours). Written by Anne, who is learning every day at TCL, and warning you - we are celebrating the 25th Anniversary of the store opening - NEXT MONTH. Come in to see often as I have been led to believe the sales will be daily specials (not officially confirmed by the owner). Please help us honour a small, local, independent business. 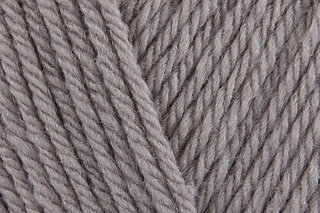 We sold out of the Baby Pure before the end of Monday - therefore we are offering a new yarn at 75% off! Party Time is a very fun yarn! It is 100% acrylic and classed as a chunky! 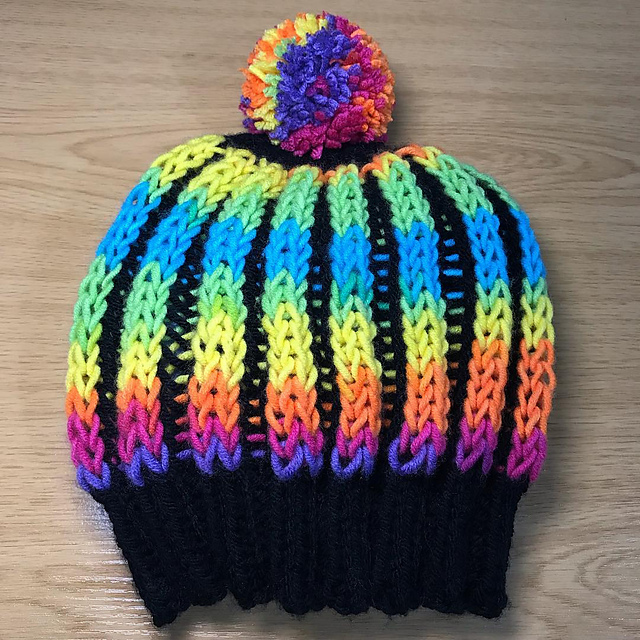 It works up very quickly and has lots of bright colours so you can start your spring knitting and not "suffer the February Blues" . . .
6 mm/14 st = 4"
A New Year's resolution is a promise a person makes for the new year. Regardless of the resolution you commit to, the goal is to improve your life in the coming year. Resolutions come in many forms. Some people make a promise to change a bad habit, such as quitting smoking, eating less junk food or reducing the clutter. Other people make a promise to develop a positive habit, such as starting an exercise program, volunteering or recycling more. The tradition of New Year's resolutions dates back to 153 B.C.. January is named after Janus, a mythical god of early Rome. Janus had two faces - one looking forward, on looking back. This allowed him to look back on the past, and then look forwards toward the future. On December 31, the Romans' imagined Janus looking backward to the old year and forward into the new year. This became a symbolic time for Romans to make resolutions for the new year and forgive enemies for troubles in the past. The Romans also believed Janus could forgive them for their wrongdoings in the previous year. The Romans would give gifts and make promises, believing Janus would see this and bless them in the year ahead. Okay, I hear you, enough of the Rah! Rah!! But Honestly - how many times would you really like a "Do over"? Life would be so much better if we did not put our foot in our mouth, react in fear, or "zone out" and knit too many rows. How many times do you see some one at a stop sign look both ways, look again, then look again as if they do not believe the road is clear for them to proceed? I for one, do appreciate a New Year as a new book to try and be a better person, to have faith - in God, Buddha, Higher Power and in others. Do they disappoint me? Of Course. This is an opportunity to try again. New Year's is also a time for us to take stock - clear out the stash, throw out or pass along that project you have been dreading for 20 years, complete one that you really want to finish . . . The list is endless.This time of year is a fresh page and each day is a day to say "Thank You" and promise yourself to be happy, learn one new thing, complete one task. In a strange way, is this not the task we often assign to a baby? A new life, a new start and a 2nd chance for us to do better than . . . name your ghost. 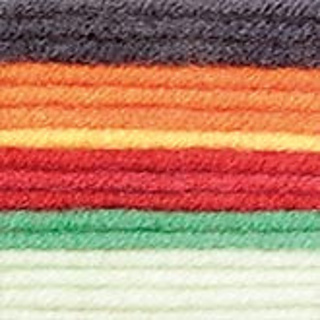 We have new yarns arriving almost every week, so please come and explore old and new favourites. Come in to feel this really great baby yarn, machine washable - it can even go into the dryer on delicate or cool settings. We had a customer in last week, who said she really loved King Cole yarns as they knit up so beautifully and wear well. 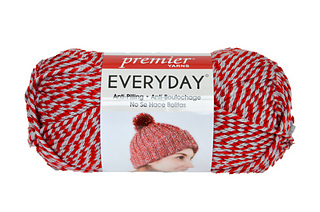 This is a King Cole yarn with a soft tonal effect which helps to create really unique and wearable items. On a different tangent, The Crafty Lady is celebrating 25 years in business next month, please plan on coming in sometime. As Margaret and I understand the preliminary plans, there will be ongoing sales all month long with the best on February 14, as this was the day the first store opened.